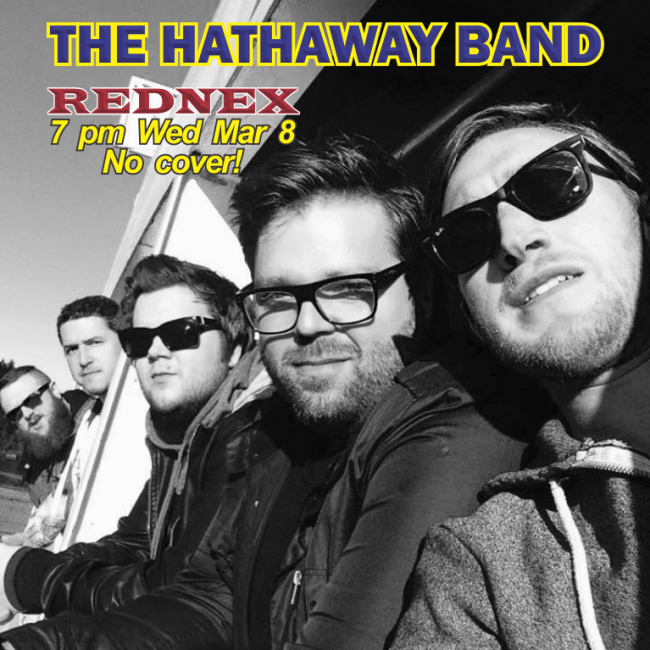 MAR 08/17 THE HATHAWAY BAND FROM B.C. Hathaway take every stage as an opportunity to show and share their collaborative love and approach to music. As the Band has grown on in year, so to have they grown in their music. There once youthful rock sound has taken a beautiful turn over the years to a Country Folk-Rock sound, that is lyrically strong and melodically rich. Hathaway went from a hectic touring schedule of over 250 dates a year, to a stand still to focus on family and career, but the boys after a year break are back at it with songs stronger then ever, and an excitement for you all to hear the journey they are on.